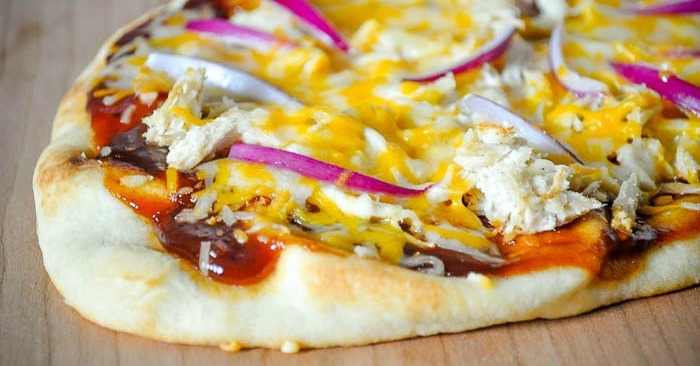 BBQ Chicken Flatbead Pizza makes the perfect meal and party food! For so long, I was scared about making homemade pizza. It’s okay, you can laugh. It seems really silly now but it was a real fear. I had it in my mind that it couldn’t possibly be as good as delivery. That they would be tasteless. That they would be too hard. None of this is true. This doesn’t mean that we don’t still love to order a delivered pizza now, but flatbread pizzas are so easy! I can easily make one in 15 minutes from start to finish which is much better than a boring ham sandwich for lunch and is a great weeknight dinner option. It totally wouldn’t be as easy without Stonefire’s flatbread naans, though! Now we are obsessed with flatbread pizzas. 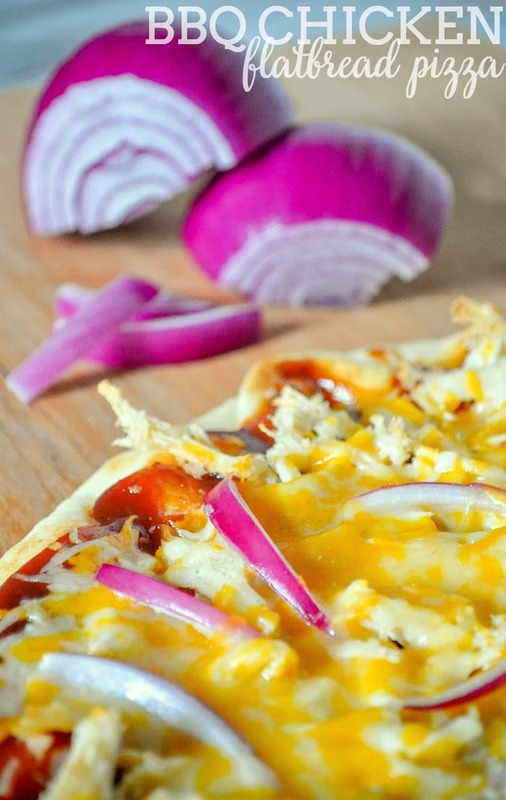 The first fltabread I shared on the blog was my Buffalo Chicken Flatbread Pizza, which is still my favorite for lunch. 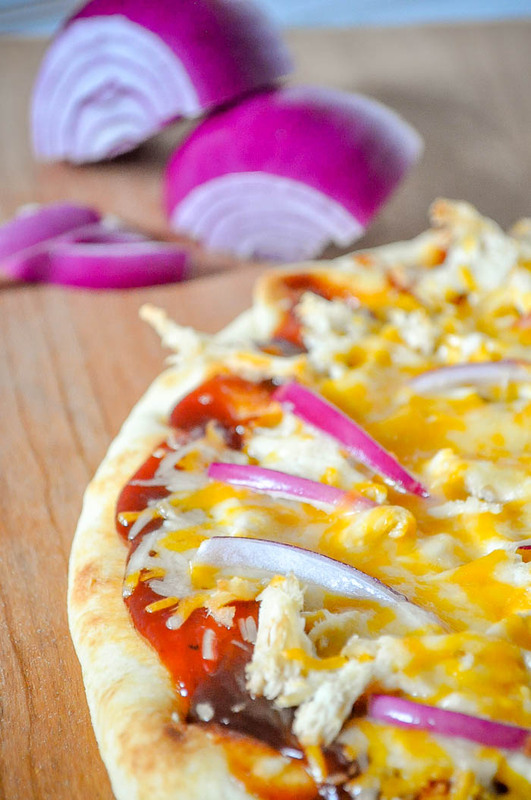 This BBQ Chicken Flatbread Pizza is Bryan’s favorite. Top each with cheese, shredded chicken, red onion and a little more of the cheese.